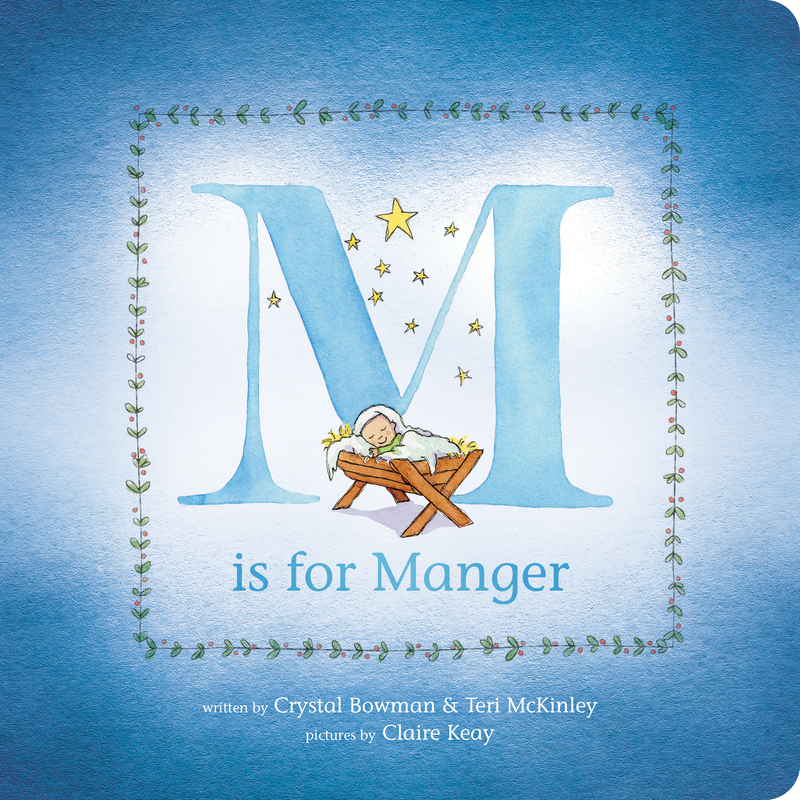 Travel through the alphabet with this beautiful rhyming storybook that tells the story of Jesus’ birth. Begin with the angel who tells Mary that she is God’s chosen vessel and follow along until you reach the zillions of stars that paled in comparison to the star that announced the birthplace of the newborn King. Beautifully illustrated and written, this book will be a classic for parents to read to their children every Christmas season. then rested in the shed. in a MANGER for his bed. In this Christmas abecedary, Bowman and McKinley use sturdy rhymed couplets, accompanied by Biblical quotes and citations, to retell the nativity story both chronologically and alphabetically. On left-hand pages framed by tidy botanical borders, Keay paints large capital letters and the people or events discussed (Joseph takes a hammer to the letter C on an early page); Bowman’s rhymes and Bible verses appear opposite (“A carpenter named Joseph/ chose Mary for his wife./ The news that Mary told him/ would soon change Joseph’s life”). Concrete, nativity-specific words (inn, manger, wise men) share space with terms (king, ruler, savior) that emphasize Jesus’ role: “Though he was just a baby,/ he was born to be a king./ Jesus will reign forever,/ and heaven and earth will sing!” Doll-like characterizations and a soft pastel palette bolster this soothing introduction to the story of Jesus’ birth.